Family historians researching an ancestor known to reside in a specific location are sometimes disappointed to find no records. Widening the search to neighboring jurisdictions (adjacent townships, counties - even states) can help produce results. 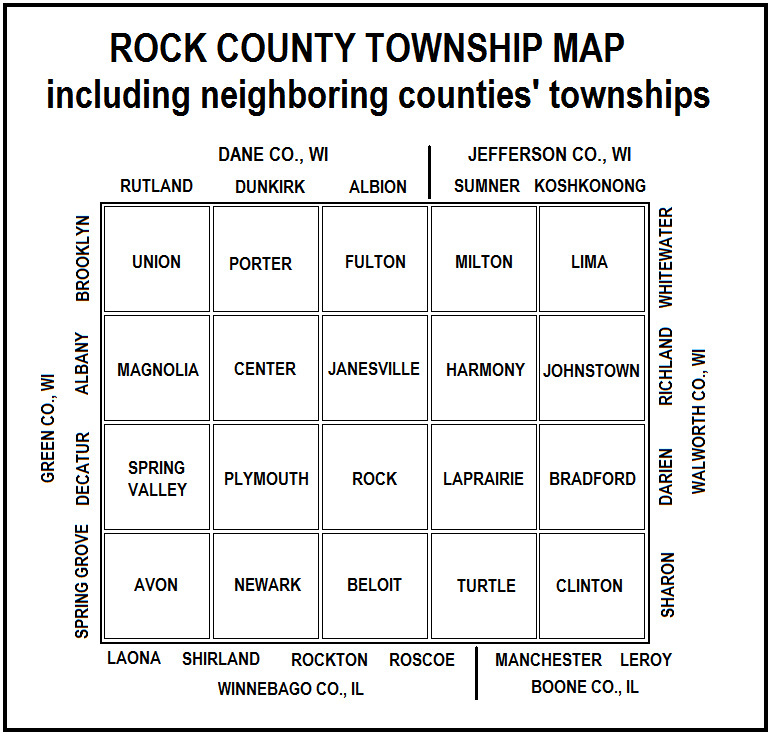 Early Rock County residents often left records "across the line" for reasons of joint school districts, proximity to a court house, more lenient marriage laws, religious preference or commercial interests. The map below can help you target a widened search.